The World Series has returned to the City of Cleveland as the Cleveland Indians begin a best-of-seven series with the Chicago Cubs. The City of Cleveland and our Downtown area partners are excited to welcome visitors and baseball fans from all over the world for Games 1 and 2. 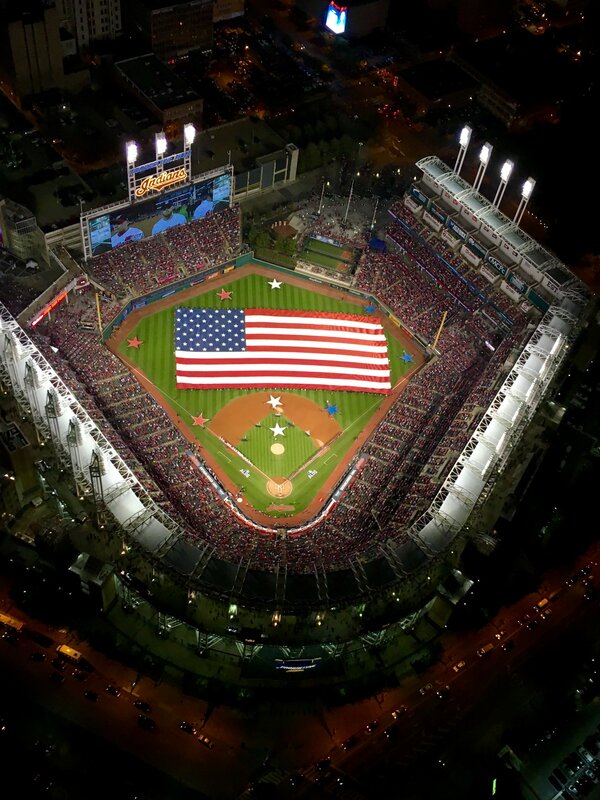 The first game of the 2016 World Series begins on Tuesday, October 25th at 8:08 p.m. at Progressive Field with gates opening at 5:30 p.m. That same night the Cleveland Cavaliers will open their 2016-2017 season against the New York Knicks at 7:30 p.m. in Quicken Loans arena. There will be a free, public event in the parking lot outside Quicken Loans Arena between Huron Road and Prospect Avenue beginning 2:00 p.m. This parking ban will be in effect both Tuesday, October 25th and Wednesday, October 26th from 12:00 p.m. to 2:00 a.m. Additionally, no parking will be permitted on the north side of West Huron Street will from Ontario Street to Superior Avenue from 12:00 p.m. to 2:00 am both Tuesday and Wednesday. This area will be used as a vehicle drop-off and pick-up location. Once these vehicles drop-off they will need to exit the area and find another location to park. Gateway East Garage closed to daily and monthly parking. Gateway East Garage will be operating in a “Day Game” situation on Tuesday, October 25th. No cash parking or monthly parking passes will be permitted. Cleveland Indians and Cleveland Cavilers game-day pass parking will be permitted. This is for Tuesday, October 25th only. Be cautious of counterfeit tickets. The risk of purchasing counterfeit tickets from scalpers of the street is high during the World Series. Fans who purchase tickets from a secondary source are taking a chance. ne at the buyer’s risk. Police officers want to proactively curb such activity and encourage buyers to be aware. Purchasing via other means creates the potential for possessing either an invalid or counterfeit ticket. The Indians are not responsible for tickets purchased through secondary sources. Arrive early, stay late. In order to ensure that you arrive at your destination without missing a second of the action, plan your commute beforehand and allow yourself extra travel time. There are plenty of great places to eat and enjoy the City of Cleveland nightlife after the game. For a list of options please visit http://www.downtowncleveland.com/play. Ride RTA. Greater Cleveland Regional Transit Authority (RTA) is expanding service for all World Series games and watch parties. Staff is also gearing up to serve Cavaliers fans on Tuesday, October 25th, by adding extra trains and extending rush-hour service. RTA employees will be on hand to direct customers and sell a $5 round-trip, commemorative World Series pass at the busiest stations. Service on all rail lines will operate up to 60 minutes after the game or watch parties end, even if the game goes into extra innings. The Walkway opens at 2:00 p.m. on Tuesday, October 25th to accommodate both Cavs and Indians fans. Many Rapid stations offer free parking. Please follow the signs and park legally. Visit http://www.riderta.com/ to plan your trip. The Bureau of Traffic will supplement their customary allotment of traffic enforcement officers with additional police officers and traffic controllers to facilitate traffic in and out of downtown and to assist with pedestrian traffic. Numerous officers will be detailed to the area during the event for added security and crowd control.